WTPD has received numerous calls from residents who have been contacted by a scam artist(s) who are identifying themselves a s IRS agents. They are demanding you pay them right away, demanding you give them personal information and threatening to have a Police Officer come arrest you unless you pay them. This is a nationwide scam that is causing many people to become victims of identity theft and/or fraud. DO NOT give out your personal information over the phone, internet or social media! If you feel you have been a victim of identity theft or another crime, please contact your local Police Department to file a Police report. WTPD non emergency dispatch number 717-762-1145 (24 hours a day). The tips below are directly from the IRS website. • Initiate contact by phone, email, text or social media to ask for your personal or financial information. • Contact the Treasury Inspector General for Tax Administration. Use TIGTA’s “IRS Impersonation Scam Reporting” web page to report the incident. • You should also report it to the Federal Trade Commission. Use the “FTC Complaint Assistant” on FTC.gov. 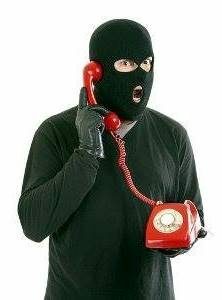 Please add “IRS Telephone Scam” to the comments of your report.